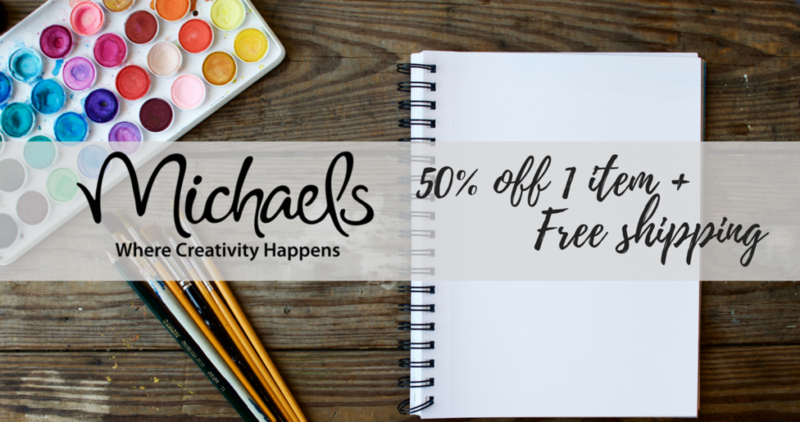 Right now, Michael’s is offering FREE shipping on your entire order when you purchase one of over 1000 qualifying items! Items start at just $3.99 and some are perfect for stocking stuffers or last minute gifts. This is a great promo because you can put your money towards items you already need to purchase, like wrapping paper or tape, instead of paying for shipping. You can also get 50% off one regular priced item when you use the promo code 50SAV121017 at checkout! This promo code is only valid through today, 12/11. Shipping is free with qualifying item (valid through 12/14) or with purchase of $49 or more – no promo necessary (valid through 12/14).